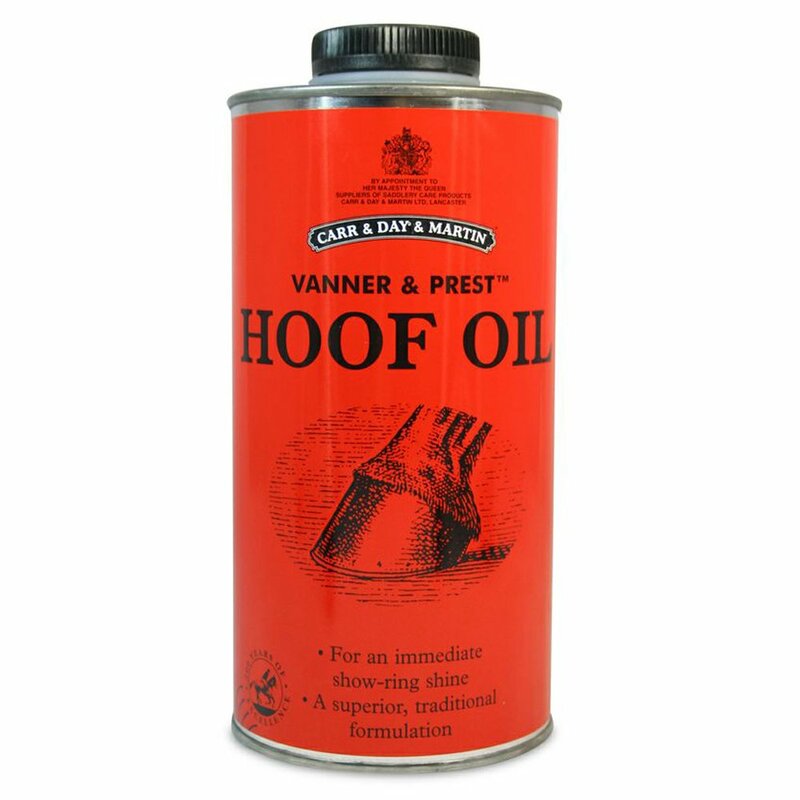 Vanner and Prest Hoof Oil is a traditional hoof oil that provides well turned out feet every time. This hoof oil not only provides a show ring shine but also helps to keep hoves healthy. Vanner and Prest Hoof Oil is a traditional formula that combines pine tar oil with mineral oil providing both a distinctive smell and mild anti-bacterial properties. This hoof oil comes complete with an internal brush for easy application and should be applied over the entire hoof for an immediate shine. This 500ml tin will last up to two months when being used on a regular basis.